Photos courtesy GCP&T Seth Sponsell works on bolting one of the chairs back into place. The former chairs, which originally came from the former Riverfront Stadium in Cincinnati, are currently being reinstalled at the amphitheater. James Fording installs exterior siding on the new bathrooms that have been renovated at the amphitheater. XENIA — Renovations continue throughout Greene County Parks & Trails’ Caesar Ford Park in preparation for the Second Annual Caesar Ford Summer Fest to be held Saturday, June 1 at 520 S. Stringtown Road. Formerly the home of the outdoor drama Blue Jacket, the amphitheater has been deconstructed and renovated to meet the needs of the community. Concrete has been replaced, chairs are being reinstalled and restrooms rebuilt as well as other structural improvements. The water supply has been revitalized and the electrical system updated. The former dining pavilion has been extensively repaired and renovated. Construction will be completed in time for Caesar Ford Summer Fest. All renovations to the park are being funded by the GCP&T levy, which was passed in 2015. The park will host food trucks, vendors, a car show, fireworks by Rozzi as well as country music line-up featuring Justin Bryan, The Cleverlys, Mo Pitney and headliner Joe Diffie during its Summer Fest. The event is free and open to the public. Tickets must be purchased for the country music performances and are available at gcparkstrails.com/summerfest. 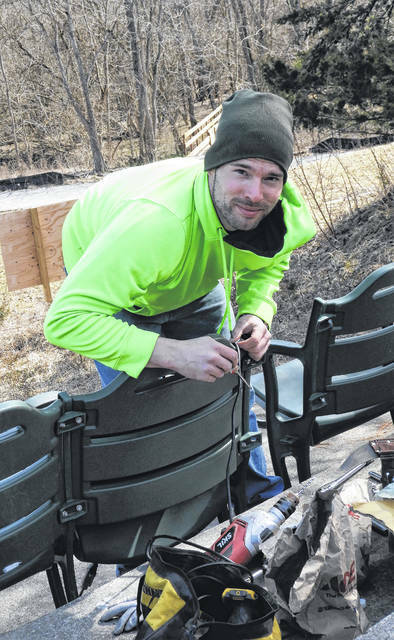 https://www.fairborndailyherald.com/wp-content/uploads/sites/50/2019/03/web1_Chair.jpgPhotos courtesy GCP&T Seth Sponsell works on bolting one of the chairs back into place. The former chairs, which originally came from the former Riverfront Stadium in Cincinnati, are currently being reinstalled at the amphitheater. 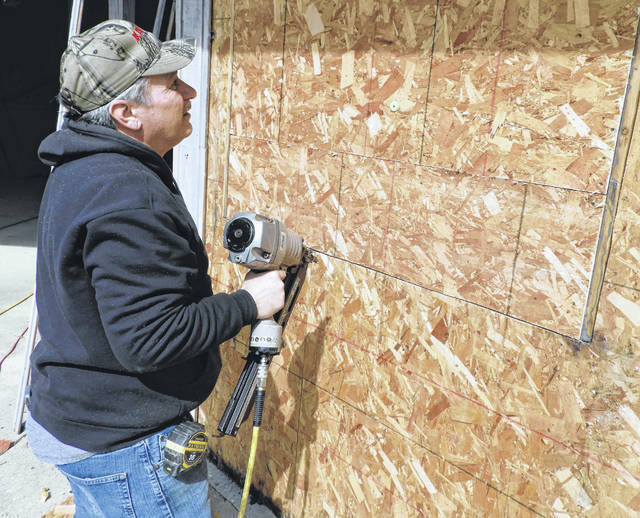 https://www.fairborndailyherald.com/wp-content/uploads/sites/50/2019/03/web1_Wall.jpgJames Fording installs exterior siding on the new bathrooms that have been renovated at the amphitheater.